Christian Maldonado took his 5-figure a month business, fired his staff, eliminated processes, and reinvested all the revenue back into the business to fund its new direction. Christian Maldonado: I am a 22-year-old entrepreneur, who recently graduated from the University of Tampa, with a bachelor’s in accounting. I was raised in Queens, New York until I was about 7 years old. I grew up with my mother who was on The Board of Education at the time and received her master’s degree to teach at just 24. All my life, I’ve been taught how to go about challenges, obstacles, and problems that life tends to throw at people from an extremely logical standpoint. I tend to analyze before I make conclusions or even have an opinion about something. I grew up in Pennsylvania after leaving New York, and my life did a complete 360. My mother lost her ambition for teaching, and had my sister, who is now 14 years old. I saw a complete change within not only my immediate family, but throughout my bloodline. The average income throughout my entire family is just about $30,000 a year as of right now and was even worse at certain times growing up. I always had the drive to excel and be the best I could be, which is why the University of Tampa was the only school I applied for and decided it would be my way out of my small town known as Lebanon, Pennsylvania. Digital marketing started for me my sophomore year of high school when I saw a need for a spirit club, to get more of a crowd to our sporting events. I made all the branding, socials, t-shirt designs, and entire club from the bottom up. After two school years, I left my high school with it being the highest grossing club to ever exist, having over $5,000 in the account for any future necessities or fundraisers. Since then, I have taken every opportunity that’s come my way, whether or not I’ve been qualified or even in the right position to do it. Christian Maldonado: Digilism specializes in E-Commerce | Advertising | High-Ticket Sales | Client Acquisition | Business Practices. 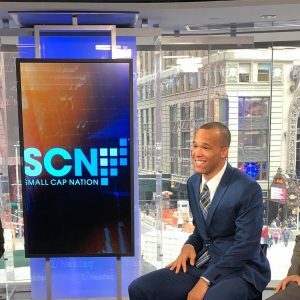 I contacted Jordan Nazario (jordan_nazario), who’s became known as a “next-level closer,” as he was also named “#11 Most Influential Entrepreneur of 2018.” I also reached out to Kendall Shaw (@kndall) who managed to sell almost $100,000 a month on Shopify before graduating high school, as well as has made connections to gain an 8 million follower network. 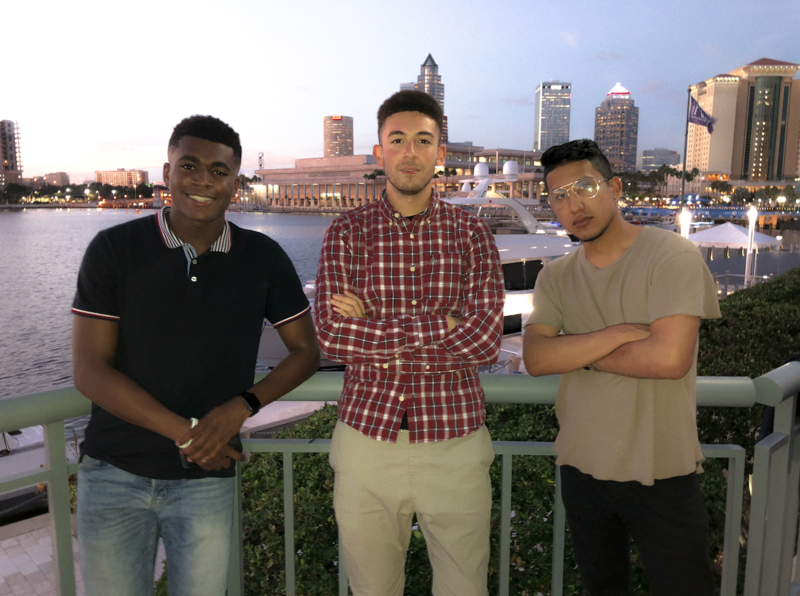 I took these two guys and decided to make them partners within Digilism, so they could be afforded the opportunity that I’ve been given by multiple successful mentors over the years. They are beyond their years and know what it is to live the grind life, something I’ve done for years, which I haven’t seen come from the younger generations. These guys are willing to do the work to be the best in their respective fields…that reason alone showed me that I needed to partner with them, because together we’re can be unstoppable. Since the relaunch, Digilism closed over $5,000 in sales, and is projected to be a $50,000 before the end of 2018, as well as a $500,000 company before the end of 2019. We plan to include and provide unorthodox digital services that no one is doing within the digital marketing realm, setting us apart, and giving us the opportunity to define a certain period within this field. We have funding till 2025, and plan to revolutionize the digital space in more ways than one. What do you think makes your work stand out? Christian Maldonado: I like to think I bring a combination of creativity, business practice, and overall outlook when it comes to any project. I think about numerous elements when it comes to a project or business, which I feel as though most don’t, or even can’t do at my age. I’ve helped 7-figure companies restructure certain processes, while sustaining others, ensuring that the company as a whole still operates efficiently. My overall past experience contributes to how I set myself apart from other entrepreneurs every day. What are 5 things you wish someone told you when you first started and why? Never Sacrifice Your Value –If I was told this and taught the concept early on in life, I’d be way more successful than I am today, just from all the small freebies I gave away over the years to prove myself…even to people that I didn’t need to. Time Is Not Only Money, It’s Time – I always made use of my time when it came to completing projects and fulfilling services with clients. I followed the basic proverb of “time is money,” but I slowly learned that it’s also still time, and what I do with the time I have is crucial every minute of everyday. For example, when fulfilling a client’s package, the faster I get it done, the more I’ve maximized my money right? I started to look at it from this POV: If I spent maybe an extra hour or so on the overall service, I could have gain more knowledge from that extra time, which could potentially save even more in the future, make sense? If You’re Good At Something, Never Do It For Free– As learned by most of the world when it debuted in the Dark Knight, I started to grasp the concept even before. Most people at a young age just want an opportunity, and will do anything even for free, just to get that extra push towards their overall goal. I stopped doing anything for free about 12-14 months ago, around the time I did SMMA full-time, my junior year of college. Overall, I learned I’m more valuable when I turn people away, because it is neither compromised nor overlooked, but sought out even more. Always Get It In Writing– Like most people my age, I never understood the point in writing things down, but I never passed an opportunity to put things in my notes or collaborate with people based on words. Putting business elements in writing makes all the difference, not only for your records, but to protect your overall brand/assets. Taking the extra time to ensure that your business is protected, and no one can come from behind to ruin it, it’s a feeling that gives you even more power as an owner to excel. Christian Maldonado: I am grateful for multiple people that have stepped into my life, at some point or another, and taught me something that’s progressed me in life. I can’t pinpoint just one person, as there’s been hundreds to be honest. An overall lesson that I have learned is “know your people.” As simple as that phrase is, it’s taken on many forms for me over the last four years, whether it was knowing my friends, peers, past business partners, or even the staff I managed for the last four months. It’s derived from knowing what your people want, their goals, what’s their outlook on the current situation, and more. This is crucial if you want to build a long-lasting brand as everyone is a moving piece of the puzzle, and at some point, they all need to fit perfectly together, which is impossible if you DON’T know your people. Christian Maldonado: Every person has their own definition of success, so I don’t think my outlook is neither right nor wrong. My personal definition of success is coming to a point of inner peace and satisfaction with where I’m at in my life. Despite all the struggles and successes, I have never felt even close to that point in my life, which makes me feel like I need to work even harder. I’ve always believed success lies within the person, and what they can measure or determine as their personal level of success.